This is a topic for remembering previous greats. If you are leaving the forums permanently and you are well known on the forums post a picture of you or the person you are remembering and a short biography of your/their time on the forums and Anything else you want to say, like the date you/they left. Please only post here if you/they are leaving permanently! This is so that future generations will remember the game’s better and more well known players. Lady Pancake joined the Scarlet City Studios team in 2015 here first post was in October 2015. She served as the sole costumer support agent for the company until mid 2016 when she was joined by @Goku_Ironheart. On August 2nd 2017 she left Scarlet City Studios to return to her teaching, her last post was on August 2nd 2017. She has a memorial topic called farewell to lady pancake. @Sambo_Gleamwalker joined our community in Sep. 11, 2017. He proved himself to be a friend and fellow contributor to the forums up until now. He has since posted his regards on why he has to leave, here. We will miss you as well, @Sambo_Gleamwalker. Goku Ironheart joined the Scarlet City Studios team mid-2016. His first post was in August 2016. He became Lady Pancake's much needed assistant, helping to answer support emails, moderate the in-game chat logs and names, and curate the forums. On December 16, 2017, he announced his leaving Scarlet City Studios. His last Aetherlight blog was posted December 16th. He has a memorial topic called Moving On. The departure of Goku Ironheart has been a sad shock to all forums-patrons. Always ready to lend a helping hand, Goku served selflessly. He kept us safe, but not only that, he is a wonderful friend. 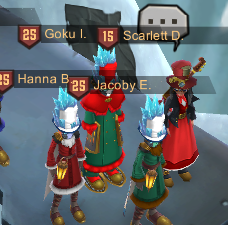 We will always remember Goku Ironheart and hope that he will continue to visit the forums. @Annaliese_Dancemuddle joined September 4th, 2017. 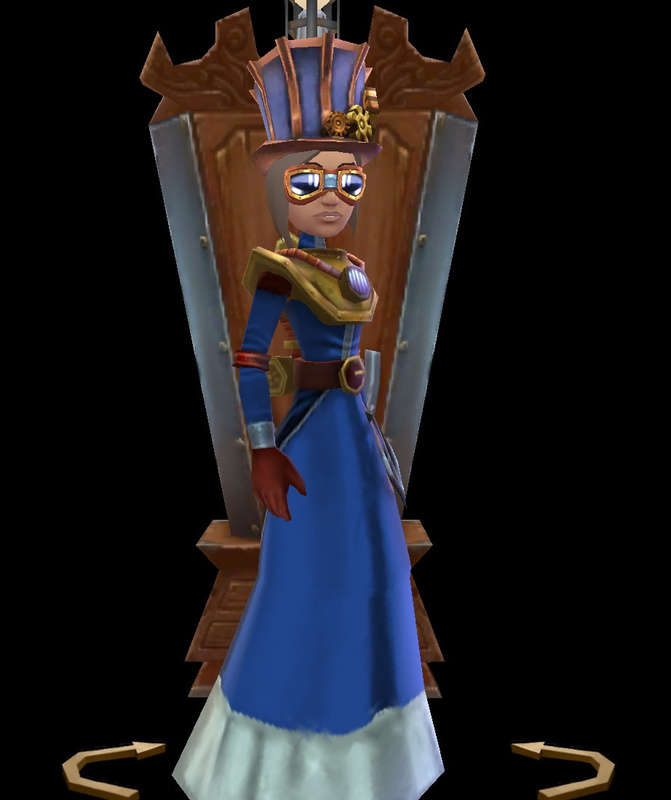 She was a good friend, a hard worker, and a crazyawesome Aethermatron soldier. She helped my army grow into what it is today, the Aethermatron army will never be the same without her. On December 28th, 2017, Anna disappeared, and has not returned since. How and why remains a mystery. Goodbye @Annaliese_Dancemuddle, we all miss you. Annaliese Dancemuddle, a helpful contributor to the Aetherlight forums, a key member of the Aethermatron army, and a great friend. @Kelli_Oldenline Joined The Aetherlight community March 19th, 2018. Kelli was ambitious, optimistic, and a talented roleplayer. Teaming up with Caleb Larkmagnet, she formed the unstoppable, formidable and awesome Club of Pointy Sticks. She and her club felled many automatons together. Her enthusiasm was inspirational. She was last seen April 22nd. Nobody really knows what happened to this zealous, wooden-weapon warrior. 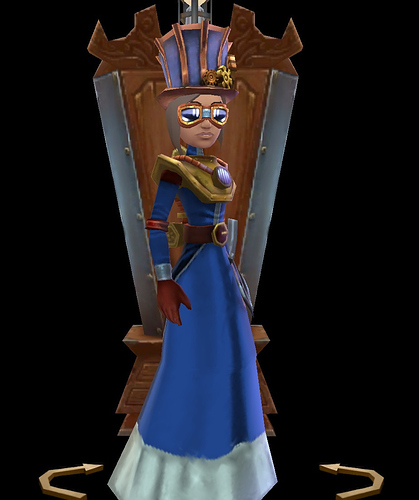 Needless to say, she will be missed by many Aetherlighters for a long time. Our eyes are open and watching for her return, and our ears are tuned to the sound of wooden stick against metal man. @Draven_Eldercraft joined the forums on November 4, 2017. He was enthusiastic and very encouraging to others. He was as awesome as they came, a regular Captain Aethasia! However, he never let it go to his head. He was a strong Christian, and a good friend to all. Draven made several role plays, including Two Guns and a Trench Coat and S.T.E.A.M.S. and Me. He had a double account named @Zerek_Ironblast who he used to lead the mighty Aethasian knights of C.L.O.A.K. In role play, he was a gun-toting bounty hunter on the run from the Empire. He had many crazy adventures in his own role plays and others. Draven left the forums February 27, 2019. However, he can still be contacted on Chess.com and Christward forums. Farewell, @Draven_Eldercraft, we all miss you here . . .
@Toren_Jumpspark joined the forums on December 4th, 2017. She introduced me to it. She was a fun, sparkly (for lack of a better word) person on the forums. 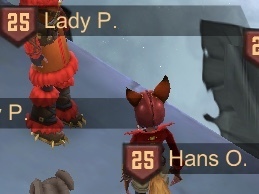 She was a part of and created several awesome roleplays. She has several double accounts, one of them @Gloria_Oldenkettle. She loved chicken, was a great artist, and an awesome friend.